If you have bare paddocks or patches, you may be considering reseeding your canola. In open pollinated crops that have less than 10-15 plants/m2, but otherwise a high potential yield, tickling in extra seed may be worthwhile. Weed control may be compromised below 20 plants/m2, particularly for OP TT crops. Reseeding paddocks sown to hybrid canola is unlikely to be a profitable option. Many canola growers have experienced a canola crop where poor plant emergence has resulted in very low plant density. Canola is particularly susceptible to this because many crops are seeded dry, so often germinate into marginal moisture conditions. Soil movement by wind or rain can also fill in furrows, placing canola seed too deep in the soil for uniform emergence. Canola growers thinking about whether to reseed a crop that has established poorly should carefully consider whether it is worth the cost. It is best to start with an assessment of the paddock/patch density. The decision to reseed will depend on assessing the likely yield of the current crop, the cost of reseeding (including damage to existing plants) and the yield penalty (due to delayed seeding) of the resown crop, balanced with concerns about adequate weed control. Department of Agriculture and Food, Western Australia Research Officers Mark Seymour, Bob French and Raj Malik have conducted 24 canola plant density trials in recent years, funded by Grains Research and Development Corporation. They have shown that the number of plants per square metre was critical to making a decision about an investment in reseeding and that hybrid varieties were less affected by low densities than open pollinated varieties (Figure 1). Hybrid crops with only seven plants/m2 achieved 80% of their optimum density yield, while crops with 15 plants/m2 had yields of 90%. The yield recovery was slightly lower for poorly emerged open pollinated crops. 80% of potential yield was achieved at 15 plants/m2 crops and 70% at 10 plants/m2. Canola can yield well at low densities because it can develop more branches, given the right conditions. In a separate 2015 precision seeding trial at Binnu, Research Officer Martin Harries showed plants at low density had very different structure, with many more branches, than high density crop plants (Figure 2). In this trial, the plants at high density (35 plants/m2) had around 100 pods per plant for a yield of 2.4t/ha, while at low density (5 plants/m2) there were 1300 pods per plant, for a slightly lower yield of 2.2t/ha (see Canola precision placement of seed 2015 trial report for further information). Low density crops develop a thick stem so growers will need to consider harvesting issues. The cost of reseeding includes the fuel/machinery maintenance/labour, the cost of seed and the risk of damaging the existing plants (with the best yield potential). 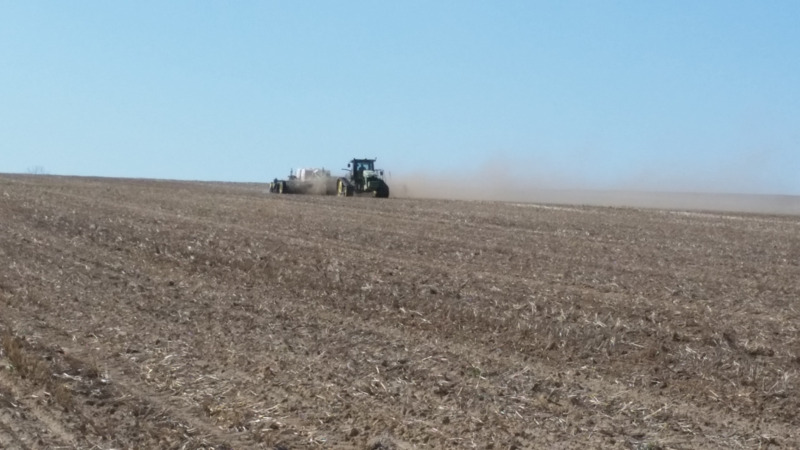 Growers will have individual cost structures but the seeding operation may cost around $40/ha. There is a high cost of hybrid seed, over $35/kg for some varieties, while farmer retained open pollinated seed may only cost $2/kg. There is also likely to be a yield penalty for the reseeded plants, due to later sowing. Modelling work has shown yield penalty range of 18-60% from sowing on 9 June, compared with 10 May. Lowest yield penalties were at Kojonup and Gibson and highest penalties at Mullewa and Mingenew (See Canola sowing time to maximise yield in Western Australia for more information). This was also demonstrated in a DAFWA reseeding trial at Ogilvie in 2014, where April sown plots out-yielded plots sown in May and April plots that had only 5-10 plants/m2 produced equal or higher yields than later sown plots at higher densities (see Is it worth re-seeding canola? 2014 trial report for more information). While low plant density may not have a large effect on yield, it is likely to compromise weed control. Low plant densities put more pressure on weed control systems. In the DAFWA plant density trial at Katanning, we observed more ryegrass heads in TT canola when the crop density was below 20 plants/m2, while in the RR hybrid plots we found much less effect of plant density on ryegrass numbers (Figure 3). However, this was largely due to the greater effectiveness of Roundup against ryegrass, compared to triazines. After the crop six leaf stage, RR cultivars and TT hybrids would be expected to have a similar competitiveness against germinating ryegrass. Growers who have sown Roundup Ready® hybrids into paddocks with low weed competition would be likely to achieve a more positive response than growers who have sown varieties with a less effective herbicide system. Reseeding hybrid crops is unlikely to be a profitable option for two reasons. Firstly, hybrids can yield well under low densities, and secondly, reseeding with hybrid seed will be relatively expensive and the later sown canola will have lower yield potential. With open pollinated crops with high yield potential it may be possible to shallow sow or tickle in some extra OP seed without disturbing the existing seedlings. This may be worthwhile in poorly established open pollinated crops because of the lower cost of farmer retained seed and because the extra crop competition can complement the more limited weed control options in OP systems. At a crop density of 15 plants/m2, there will be an average of 3.5 plants/m of row at nine inch spacing and 4.5 plants/m of row at 12 inch spacing. To assess your paddock, take a 1m length and count the plants in the row. Do this at random over the paddock/patch, to get an accurate average of plants/m row. Use the formula above or Table 1 below, to assess the plant/density.